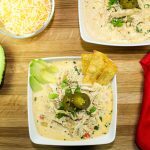 Slow Cooker Green Chili Stew is a delicious bowl of Southwestern flavors! 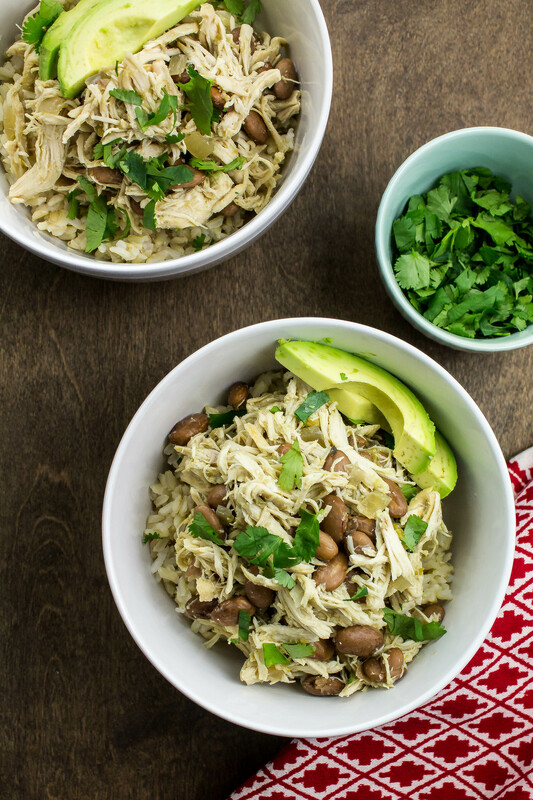 Slow cooked chicken and pinto beans in a savory broth of green chili spices and green chilies served over rice. 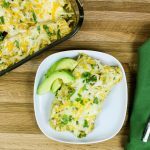 Weight Watchers friendly recipe- 0 SmartPoints! Last November, my husband and I took an epic road trip from Indianapolis to Phoenix and stopped in New Mexico for a few days. We immediately fell in love with green chilies and still can’t get enough of the flavor. My Slow Cooker Green Chili Stew is a delicious bowl of Southwestern flavors! Slow cooked chicken and pinto beans in a savory broth of green chili spices and green chilies served over rice. This is a Weight Watchers friendly recipe and each serving is ZERO SmartPoints! As I mentioned earlier, my husband and I took a road trip to visit family last November. We drove in our minivan (with dogs in tow) from Indianapolis to Phoenix. It took us a little over a week to get there because we made several stops along the way. One of our last stops before arriving to Phoenix was Santa Fe, New Mexico. Neither of us had been there before so we were excited to spend a few days in a new city (for us). We were absolutely blown away by the culture, city scape, and FOOD! Any vacation I go to revolves around trying the local cuisine. We spent the first day walking around the city, checking out the local art scene (which is incredible), and chatting with all the friendly locals. A few locals suggested a great little spot for dinner, and we were sold. The menu was filled with delicious dishes, all featuring green chili as the star. 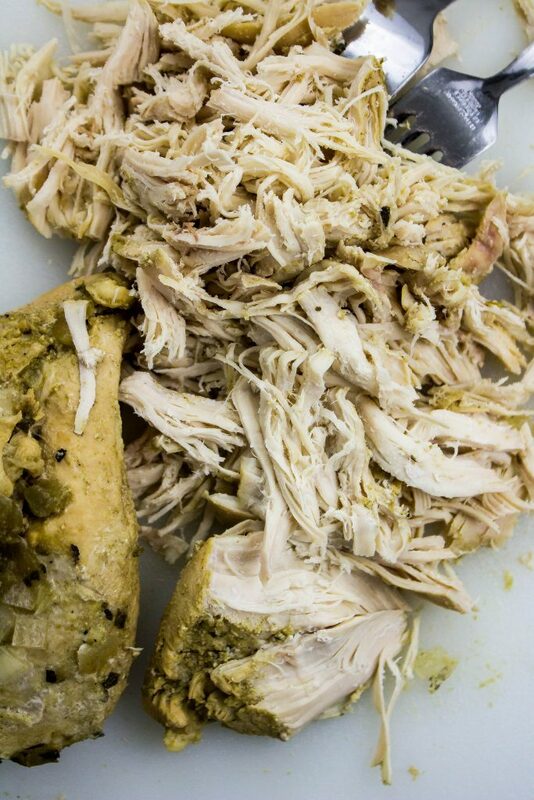 We were blown away by the unique and addictive flavor of green chili. It’s so different from the flavors we are used (after having lived in Texas for 30ish years). After that meal, we basically ate green chili anything for the next few days on our visit. Before we left New Mexico, I bought some local green chili powder. I have never seen it sold in a grocery store in Indianapolis so I HAD to get some before we left. But luckily you can find it on Amazon. 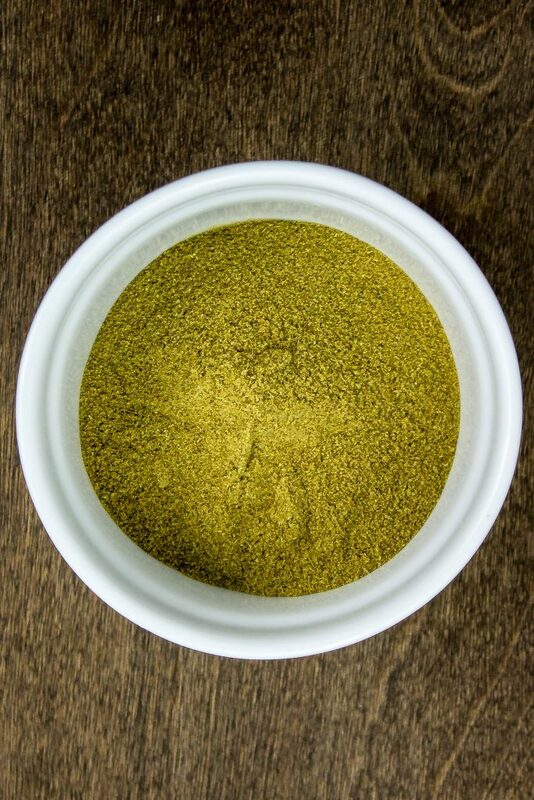 Have you ever cooked with green chili powder? Now that I have some, I will never NOT have any on hand. It’s such a different and delicious flavor than red chili powder. In some cases, I like it better! 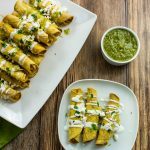 There are so many great dishes to make using green chili. 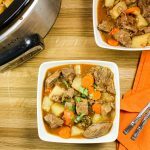 Since it’s basically still winter here in Indiana (it’s April and it’s snowing… still), I’m still craving hearty stews and soups. My Slow Cooker Green Chili Stew is an easy and delicious bowl of comfort food. I am in my last month of pregnancy so I need easy meals… and I’m sure after the baby is here I’ll still need easy meals!! This recipe is SO easy y’all. 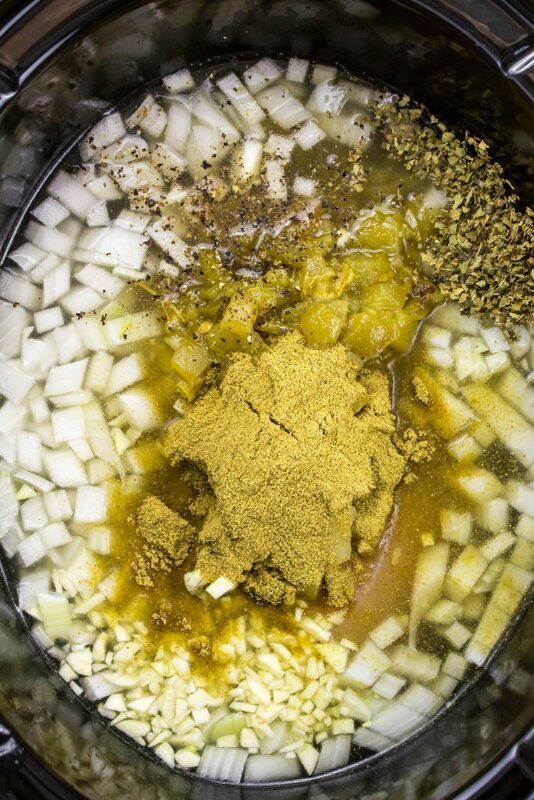 To a crock pot, add chicken breast, green chili powder, cumin, pepper, salt, Mexican oregano, diced onion, minced garlic, canned green chilies, water, and chicken broth. Let it cook for 6 hours on high, or 8 hours on low. Remove the chicken and shred. The chicken will be so tender that it will basically shred itself! 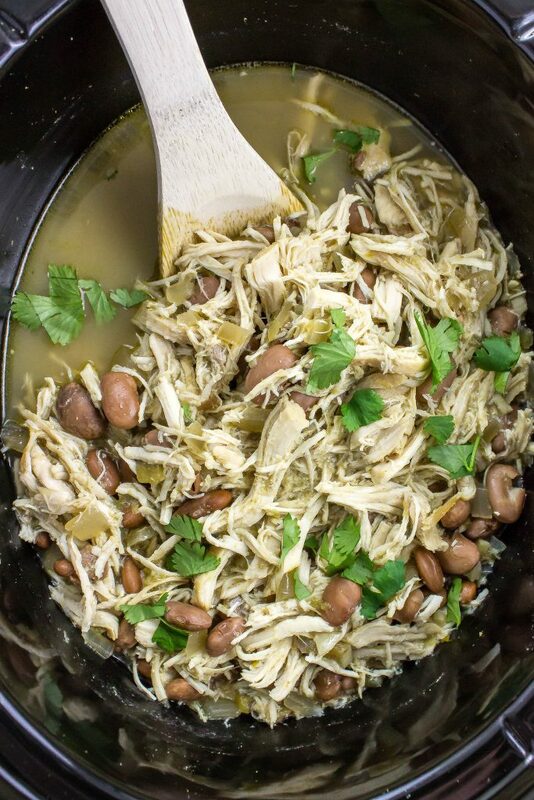 Add the shredded chicken back to the crock pot, add canned pinto beans, and masa flour. Cook for another 20 minutes or so. I like to serve my stew over brown rice and garnish with fresh lime juice, cilantro, and diced avocado. Slow Cooker Green Chili Stew is a delicious bowl of Southwestern flavors! 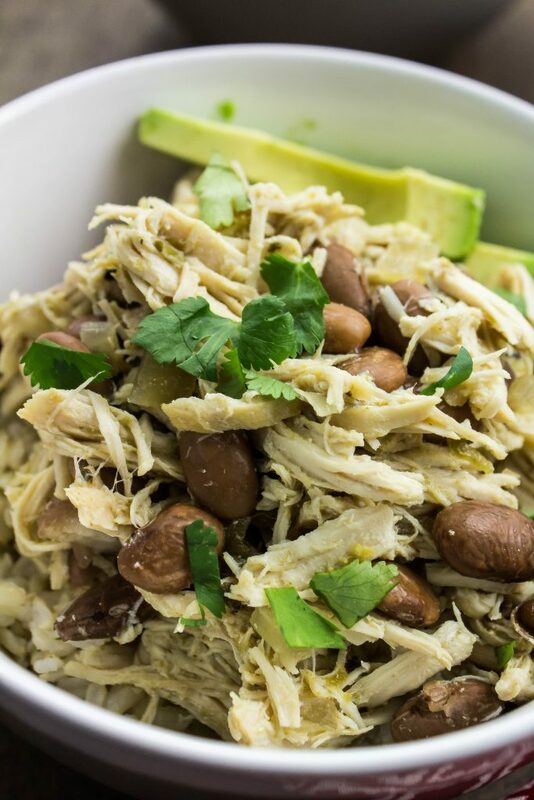 Slow cooked chicken and pinto beans in a savory broth of green chili spices and green chilies served over rice. So easy to make and great all year round! This is a Weight Watchers friendly recipe and each serving is ZERO SmartPoints! Dice onion and garlic then add to crock pot. To a crock pot, add chicken breast, green chili powder, cumin, pepper, salt, Mexican oregano, green chilies, water, and chicken broth. Cook on high for 6 hours or low for 8 hours. Add back to crock pot along with pinto beans and masa to thicken. Cook for another 20 minutes. Serve over brown rice and garnish with fresh lime juice, cilantro, and diced avocado.